This badge was issued to ADRIAN Soeranto on 04 Feb 2018. AgileTA is a framework for applying agile practices and principles to talent acquisition. In AgileTA, talent acquisition teams work with agility within dedicated scrum teams. The values of AgileTA are commitment, focus, empowerment, collaboration and innovation. 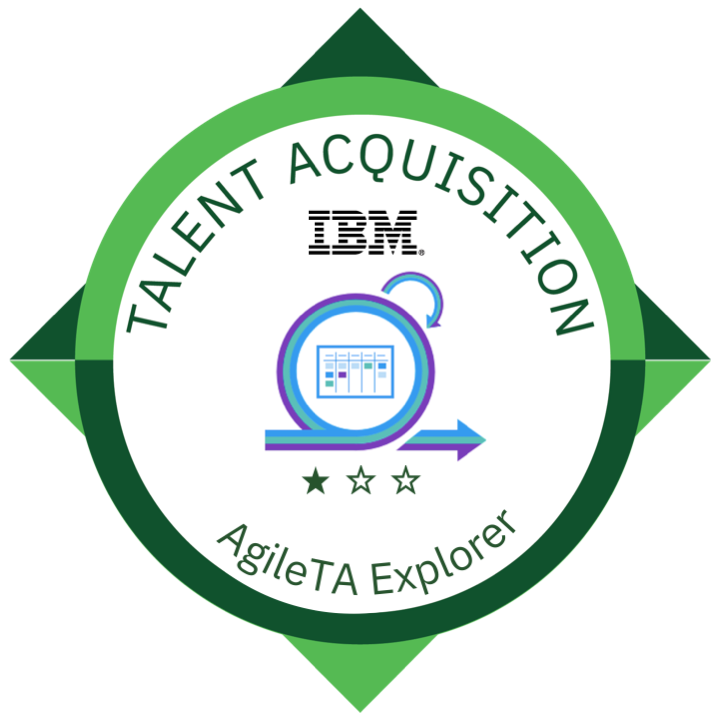 The AgileTA Explorer has an understanding of fundamental AgileTA values, principles, and practices and it's application within talent acquisition. Completion of the AgileTA Entry and Foundational courses on the IBM Talent Acquisition Academy. Successful completion of the end of learning assessment with 85% pass rate.